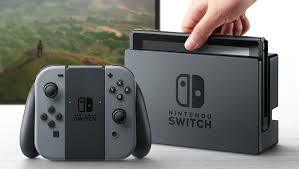 Despite a somewhat omnipresence on modern connected devices, gaming giant Nintendo has revealed that none of the leading video streaming apps will be available on its new Switch console. Nintendo, responding to questioning from video games website Kotaku, stated that the likes of Netflix, Amazon Prime Instant Video and BBC’s iPlayer, will not be coming to the console yet – and it wouldn’t even confirm if they would be coming eventually. “All of our efforts have gone toward making the Nintendo Switch system an amazing dedicated video game platform, so it will not support any video-streaming services at launch. However, support for video-streaming services is being considered for a future update,” the company said. The Switch console launches globally on March 3rd.